A quick guide on how to get from Kalam to Kumrat Valley and Dir in Khyber Pakhtunkhwa, Pakistan. The article focuses on using public and private transportation and gives tips on where to stay once there. Friends described Kumrat Valley to us as a “heaven on earth.” The remote valley is relatively popular with local tourists from KPK, but is mostly a secret from other Pakistani tourists. Few foreigners ever visit… if any. 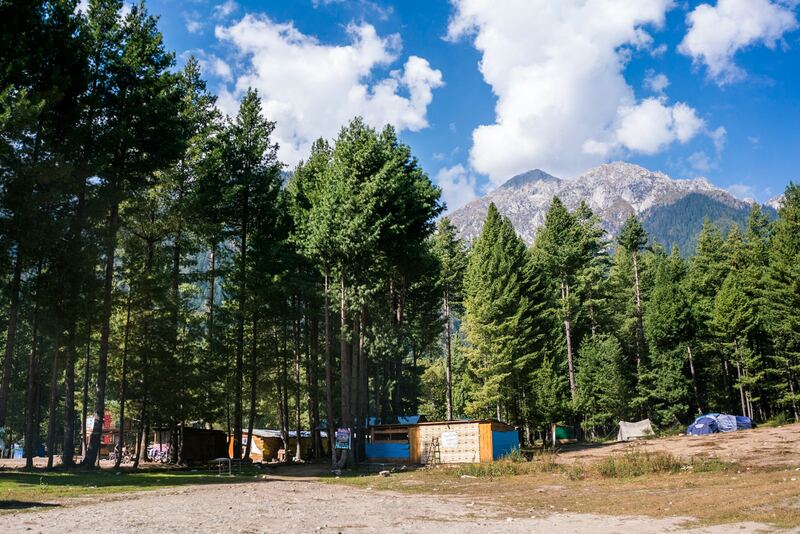 We recently ventured to Kumrat Valley from Kalam in Swat Valley, though for a far shorter time than planned (read on to learn why). In the name of helping out future travelers, here’s a guide on how to get from Kalam to Kumrat Valley, and what to do once there. The village at the entrance to Kumrat Valley is named Thall. It’s a small village in Upper Dir district, with very basic amenities. To reach Thall from Kalam in Swat Valley, you must first go to Utrar, a village about one hour from Kalam. There are shared taxis from Kalam’s main bazaar to Utrar, which leave when full. We aimed to leave early, and our taxi left around 7:30 in the morning. The shared taxi costs 150 -200 Rs per person, depending on how many people they manage to squeeze in the car. From Utrar bazaar, shared Jeeps to Thall leave when full (10 passengers), and cost 500 Rs per person. If there is limited demand, the driver will ask if you want to go anyway, but you’ll have to pay a higher price. Our driver was in a good mood, so we left with three people in the car, and paid 1000 Rs each. The driver from Utrar to Thall is bumpy but gorgeous. You’ll cross a 3,000m+ mountain pass dividing Swat Valley from Upper Dir district before descending into the forested mountains and hills of Upper Dir. The drive takes roughly four hours, and if you make the drive in season, there will be a few small shops and makeshift tea houses along the way. When you arrive in Thall, it’s best to stay there for the day to organize onwards travel and supplies, though it’s possible to make it into Kumrat Valley on the same day. There’s one official hotel, Hotel Green Hills, off of the main road running through Thall Bazaar. We stayed in the home of our shared Jeep driver, Bakht Rawan, and if you’re friendly or a visiting foreigner, you might receive an invitation as well. Bakht speaks Urdu, but very limited English. To get from Thall to Kumrat Valley, you need to hire a Jeep with driver. The road into the valley is poor, and can be washed out by rains. 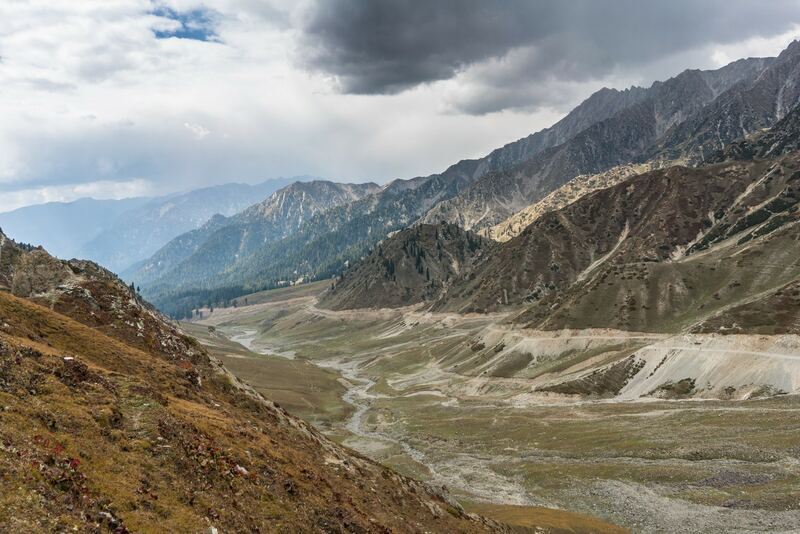 Depending on how far into the valley you want to be brought, a Jeep should cost 2000 – 4000 Rs, more if you want the driver to pick you up a few days later. It will take an hour or two to drive through the narrow valley to the point where the mountains open wide again, and you’ll pass an army checkpoint along the way. Make sure to bargain, and be clear as to where you want to be dropped off and picked up. There are plentiful tent camps in the valley during season, and generally offer similar facilities at similar rates. When we visited in late September (the offseason), the tent camps were still standing, though not all of them were manned. We were quoted 200 Rs per night for a tent, but a bunch of local boys were charged 800 Rs for their tent. Bargain hard. Basic food amenities are available at the tent camps, and there are small convenience stores every once in a while. Options are limited (and costly, of course), so bring your own food and snacks if you can. If you want to head out towards Dir—ideal if Chitral and the Kalash Valleys are next on your itinerary—shared taxis leave for Dir from the main Thall bazaar, close to where the turnoff for Kumrat is. The ride should take 6 to 8 hours depending on the driver, and if I recall correctly, seats are around 300 Rs per person. And so we arrive at the problematic part of our journey to Kumrat Valley. 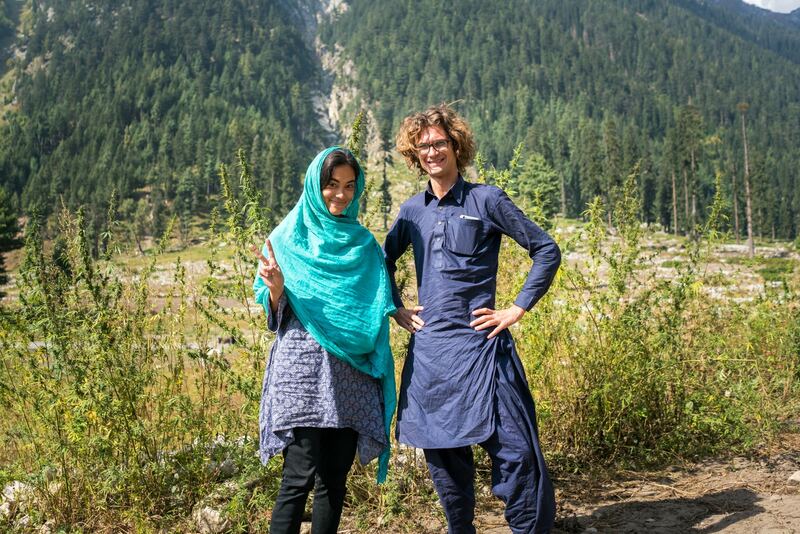 Kumrat Valley sees very few foreigners (if any), let alone foreign girls. When we arrived, we were told we could only stay the night if we slept in the army guest house ($25/2,500 Rs per night), or had a local companion. The army and our driver said it was not safe for Alex to be in the valley, despite her modest dress and head covering. Apparently, local men can’t control themselves when they see a girl not completely covered in a black veil, and because it was off season, it was “dangerous” for her to sleep in an otherwise unoccupied tent camp. Although we were thoroughly frustrated and tried to persuade the army and our driver that we would be fine and wanted to sleep in the valley, we weren’t allowed. It didn’t help that English was hardly spoken. 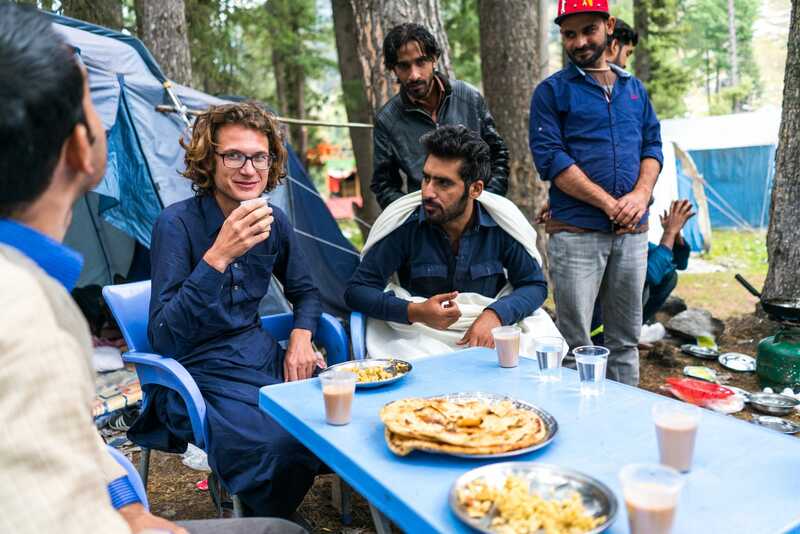 If you’re a boy, a group of boys, or are traveling to Kumrat during high season, you should be allowed to sleep in the valley. Otherwise, prepare to argue with the army about what you are and aren’t allowed to do. If you are a couple or a group of girls, bringing a guide can save you a lot of hassle, as English is hardly spoken in Thall or Kumrat Valley. If you’re looking for a guide, we recommend Aslam. We enlisted his services when we trekked to Kandol and Spinkhor lakes in Swat Valley, and we had a grand time with him. He lives near Kalam, speaks good English, and has a lot of love for Kumrat Valley. His number is 03139473399, and he can show you around Kalam as well. He charges 1500 – 2000 Rs a day, more for overnight stays. Although we couldn’t see much of Kumrat Valley, what we did see was gorgeous, and if you’re hoping to go off the beaten track, this is a great place to do it. If you’ve been to Kumrat Valley, do share your experience in the comments. The more information, the merrier! Don’t miss our post on security and restricted areas in Pakistan for foreigners for more information on where you can and cannot travel with ease! Dear is it possible to visit Kumrat valley in march 2018? I am planning in first week of April with my family including 4 month old kid. Is that a good idea? If you don’t mind carrying your child while there… no reason not to! It might still be quite chilly, though. Abbott camping huts are ready in Kumrat valley,,,, please search Hazara steel on facebook and get one booked before your arrival …. hi alex, thanks for the info on beautiful tour. do you remember how much time it took from utrar to thall? can you give me contact details. i am planning to visit kumrat valley from Karachi. Hi Alex. Can you please tell the exact location of cannabis plants in Kumrat? where did you find it. I am Pashtoon Bangash from Kohat. Kumrat valley is one of the beautiful valley of Pakistan. I have visited many valleys of Pakistan but have not seen other valley much beautiful than Kumrat. Its open for visitors only from July to September. March April journey is not possible for the outsiders. Local people use horses for travels in snowy seasons. You Pakistanese guide is very good too! I am looking for some advertising opportunities and really impressed with the quality of your blog lostwithpurpose.com and the way you have updated it. Our group of 7 boys are going to kumrat valley on Friday 31_08_2018. I hope it will be a good and positive memorable trip for us. Thank you alex for this important information. My wife and I do one or two camping trips every year, and last year we pitched our tent in Kumrat. We used the camping grounds of a hotel which was a fair bit off the main trek and on Panjkora river. So we had complete privacy as there was no one else camping there, yet we were close to the makeshift hotel as well. With my wife and two kids, camping by ourselves, we felt quite safe. And the fact is, these places actually are very safe. However since these places don’t get many foreign tourists, the levies at the check posts do get fidgety and overly cautious when they see a foreigner. I guess their best of intentions for your safety does become bit of hassle for the tourists because the only way they know how to deal with an unforeseen incident is by taking the foreigner out of the equation :-p Let’s hope with more tourists visiting the mountains of Pakistan, they will start getting a bit less jittery about it. Nice reading the post. So how long did the whole trip (from Kalam to Kumrat) took? Will it take the same time when we have our own ride? I am planning to visit Kumrat Valley and your trip guide was a great help. Though I felt sorry for Alex missing the end part of valley. However, the reason given by some stupid guy of “loosing control on sight of a lady” is absolutely absurd and concocted. At time people with little authority would try to project themselves in an extraordinary manner. I am sure he must have some other reasons to stop Alex, not the one stated because that area is quite safe.